VIBIA aims to create solutions that adapt to the needs of people within diverse contexts. The company's mission is to improve the relationships between people and their surroundings, their visual and emotional well being. When designing spaces, lighting becomes an integral element within the process in terms of the architecture, interior design and use. Through their lighting, Vibia wants to help create the right atmosphere so that the experience of living every space is a fulfilled and unique one. The brand offers a unique collection of products and solutions that stimulate lighting professionals and help generate spaces. VIBIA is based in Barcelona, a place of cultivated design culture and an important knowledge cluster, where the brand has been able to channel its industrial and service suppliers' abilities and construct a top-class team of people. From local knowledge the company has built up a global business. 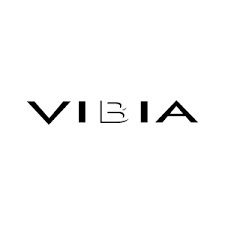 Vibia is present in 80 countries and have a subsidiary in New Jersey (USA). The Vibia community keeps growing. Today over a 100,000 professionals work on their lighting projects on vibia.com.